Peterborough residents sent out a message of solidarity against prejudice and hate in city centre vigils. 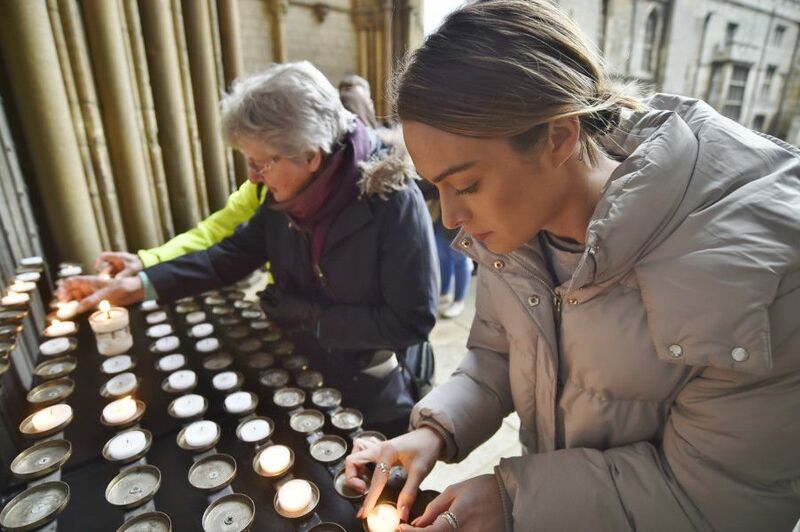 Two events were held in Peterborough over the weekend following the terror attacks at two mosques in Christchurch, New Zealand earlier this month which saw 50 people killed and many more injured. The first event took place on Friday evening on the Cathedral Green, where dozens of people turned out to pay their respects. People from a range of backgrounds and faiths stood together in silence, lit candles and held signs at the event, which was organised by city councillor Ansar Ali. Cllr Ali said: “It was overwhelming, to be honest. It showed just what a diverse city we have in Peterborough. “So many people came out to show solidarity and condemn acts of terror. It was a very overwhelming experience - I had tears in my eyes throughout. “I have never shaken so many people’s hand in an hour and a half before. The event was organised to show solidarity, but also to allow people to mingle with people of all faiths and get to know each other. “I want to thank everyone who came out, especially because the weather was so poor. “I think the event was a success. We don’t want to have to hold events like this because of acts of terror - but we should celebrate what a diverse city we have here. I will be speaking to the Cathedral about making this an annual event, because we should celebrate what we have here.” A second vigil was held on Saturday lunch time outside Peterborough Town Hall, when people, including Mayor of Peterborough cllr Chris Ash, stood in silence in front of a banner which said ‘United Against Extremism - Love for All, Hatred for None.’ A book of condolence for the victims of the attack was also opened at the Town Hall last week.